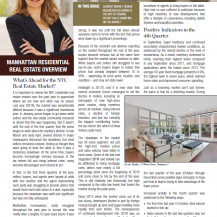 It is important to review the NYC residential real estate market over the past year to appreciate where we are now and what may lie ahead. 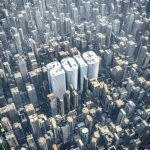 Last year (2018), the market was exceptionally difficult because it was a significant transitional year: in January, prices began to go down while sellers and the real estate community remained in denial that this was happening. But it wasn’t until the end of the first quarter that the press began to write about the market’s decline. Read more in our Spring 2019 Newsletter.